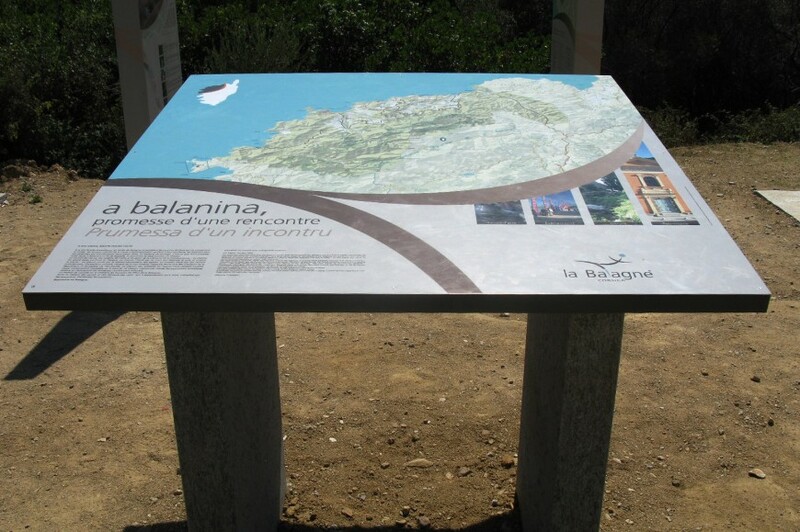 The development of touristic signage for an extended geographical zone has to take into account the surrounding environment. 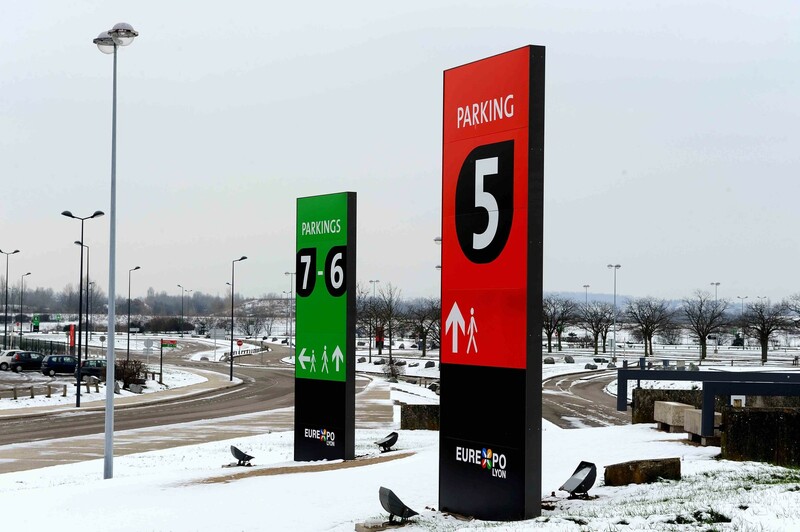 The on-site tracking is indispensable to evaluate the constraints of transportation, accessibility, typology of the ground, kind of mounting, weather resistance (snow, wind, humidity, corrosion) and vandalism. 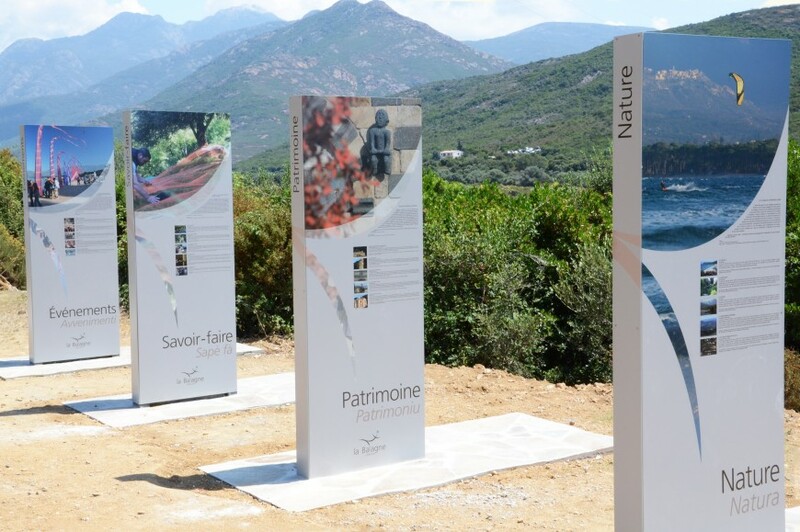 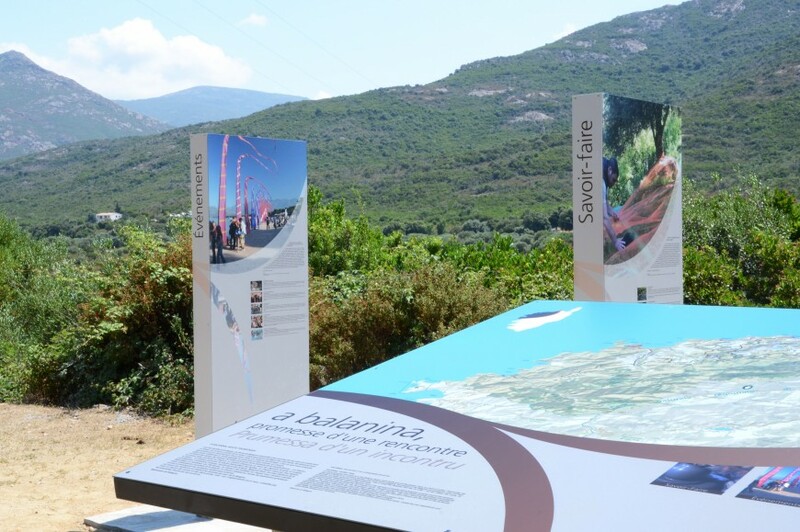 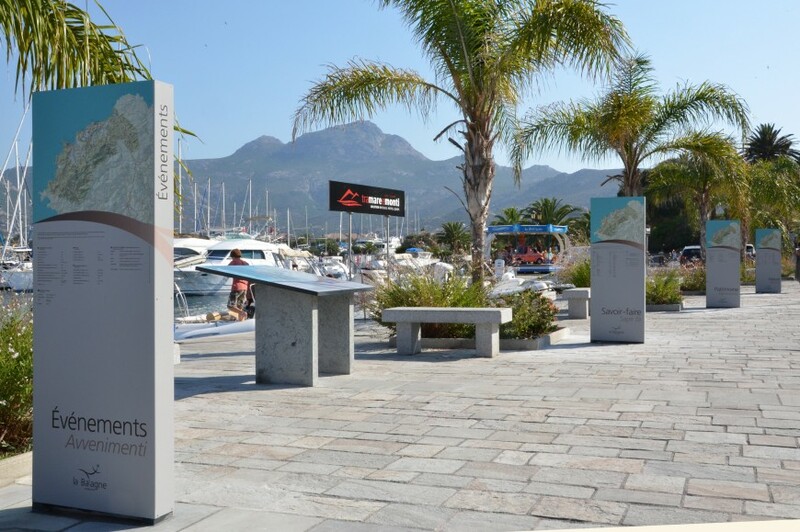 Distributed over 30 municipalities in the northwestern part of Corsica, the more than 150 signage elements have been implemented to inform visitors and inhabitants about the extraordinary historical and cultural heritage of this beautiful region.